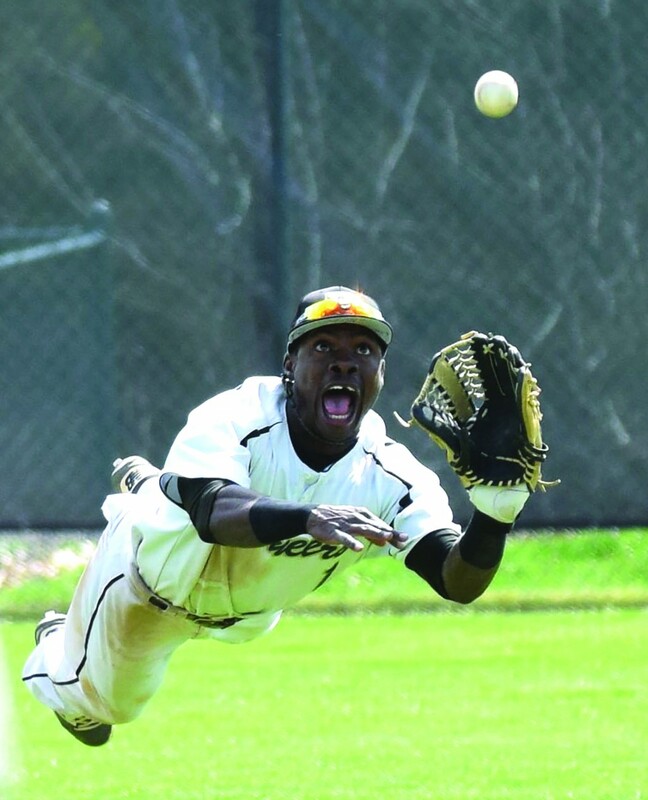 Senior center fielder Demetrius Moorer dives for a fly ball during Point Park’s first game of Friday’s doubleheader against West Virginia Tech. I’ve had some teachers and professors over the years with big buts. That’s buts with one ‘t,’ not two as in butts. I can think of three or four right away that constantly attached a ‘but’ to their compliments. I learned so much from each one of those mentors who almost never seemed satisfied. It wasn’t because my work wasn’t good, it was because they wanted to bring the best out of me. If there’s one thing I’ve learned from these teachers, it’s to always look for the ‘but’ in life. It’s not a quest to become a chronic pessimist; it’s the pursuit of perfection. I’m told people are attracted to baseball butts. The buts I look for in baseball have one ‘t,’ not two. The Point Park baseball team took three of four games from the West Virginia Tech Golden Bears this weekend, but they could have easily lost or swept the series. Games one and four of the weekend with the Golden Bears ended in 3-2 walk-off victories. Point Park won game two 6-1 and lost game three 5-4. The only decisive win was a 6-1 victory in game two. They won three of four, but only squeaked out wins in two of them. The 5-4 loss in game three could have been a victory. It should have been a victory. 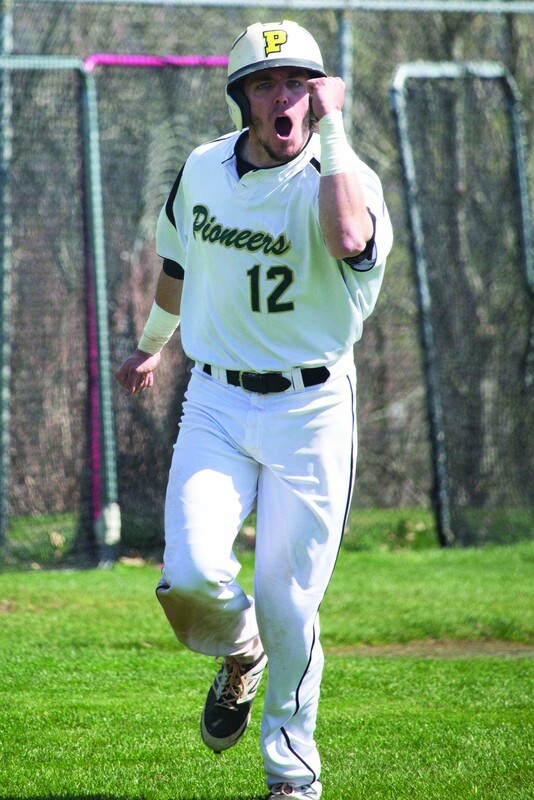 The Pioneers gave up three preventable runs on three separate occasions with two outs. A wild pitch from starter Anthony Garafalo allowed the first WVU Tech run to score in the first. A second run scored in the next inning when third basemen Philimon Perez botched a groundball that would have been the final out. It was his 14th error on the year. After two quick outs in the top of the fifth, the Golden Bears put the go-ahead on base after an error by first baseman Andy Chacon. He scored when the next batter doubled to left field. The Pioneers won three of four, but they could have swept the Golden Bears and moved into a tie for second place in the Kentucky Intercollegiate Athletic Conference (KIAC). Instead, the Pioneers sit two games out of first in the KIAC and only have a one game lead over West Virginia Tech in a conference where every game matters. One or two losses could make the difference between first and fifth place in this conference. Thank goodness the Pioneers walked off the first and last games of the series. Thank goodness the costly errors and miscues all happened during the same game. If they lost just one of those games, they would sit behind WVU Tech in the standings. If they lost both, they would have entered the week in fifth place. They won three of four, but were dangerously close to having a miserable weekend. In a game of inches, where one error, one loss or one injury can determine the outcome of a season, this team has to focus on buts to improve. They won three of four, but what else can they do to improve? Again, it’s not pessimistic thinking. It’s the pursuit of a championship. The baseball team has a winning reputation to uphold. Senior left fielder Shane Conley helped the Pioneers to two wins over West Virginia Tech on Friday at Point Park Field in Green Tree. Conley scored the winning run in Point Park’s 3-2 victory in game one of the doubleheader.